Virox is committed to innovating, developing and improving peroxide based, environmentally sustainable cleaners and disinfectants that allow our affiliates to reduce their environmental impact when consuming such necessary products. 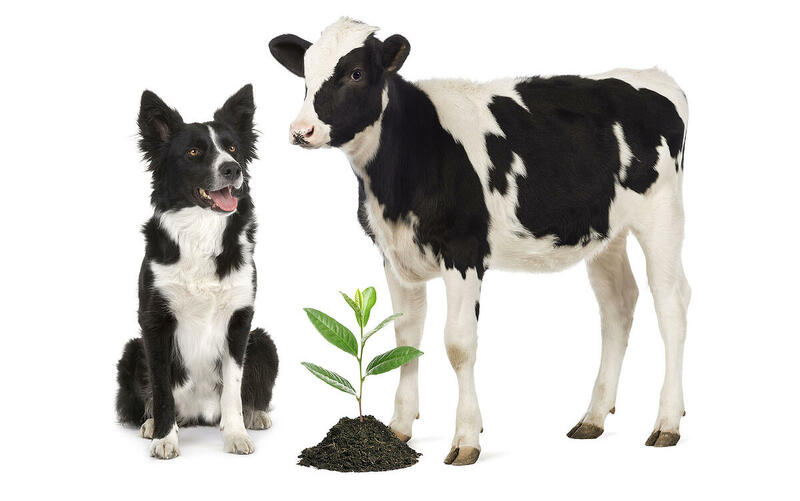 A focus on human and animal health and environmental sustainability is a legacy we will pass on to future generations. Virox was awarded the 2016 Safer Choice Partner of the Year Award for Innovation by the Safer Choice/DfE (Design for the Environment) program due to its commitment towards chemical safety. This award is aimed at bringing recognition to companies that have advanced the goal of chemical safety through exemplary participation in the Safer Choice/DfE program. Back in 2009, we challenged ourselves to look internally at all our activities within the company from materials management to production, research and development to sales and put the concept of “SUSTAINABILITY” into practice. As a result of this focus we created a “GREEN TEAM” and decided to pursue LEED Certification for our corporate headquarters. What better way to put sustainability into practice. 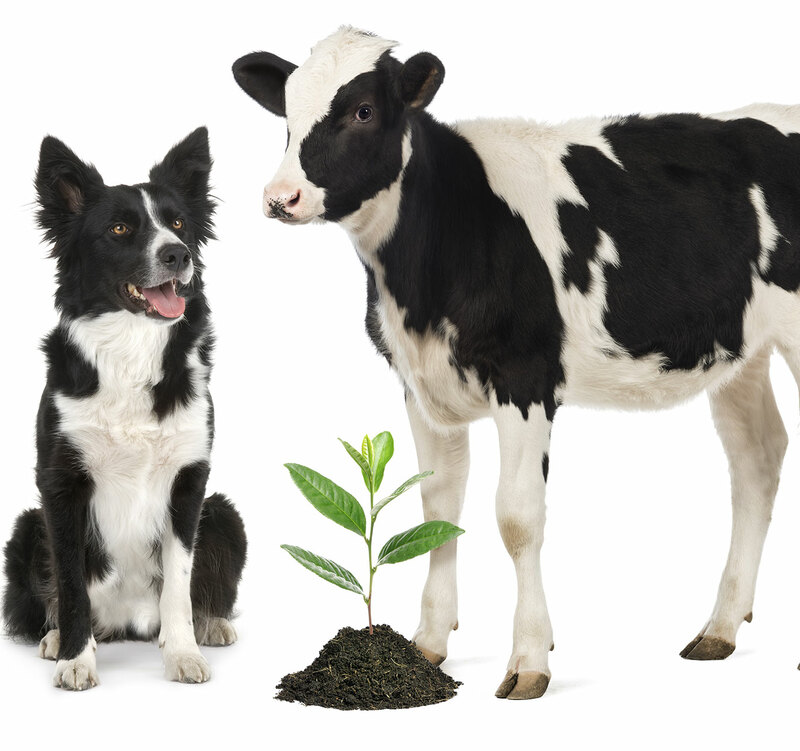 At Virox, we have multiple product lines that meet both industry and government requirements to be labelled “green”. In Canada, we have a variety of disinfectant cleaners with EcoLogo/UL Certifications®. 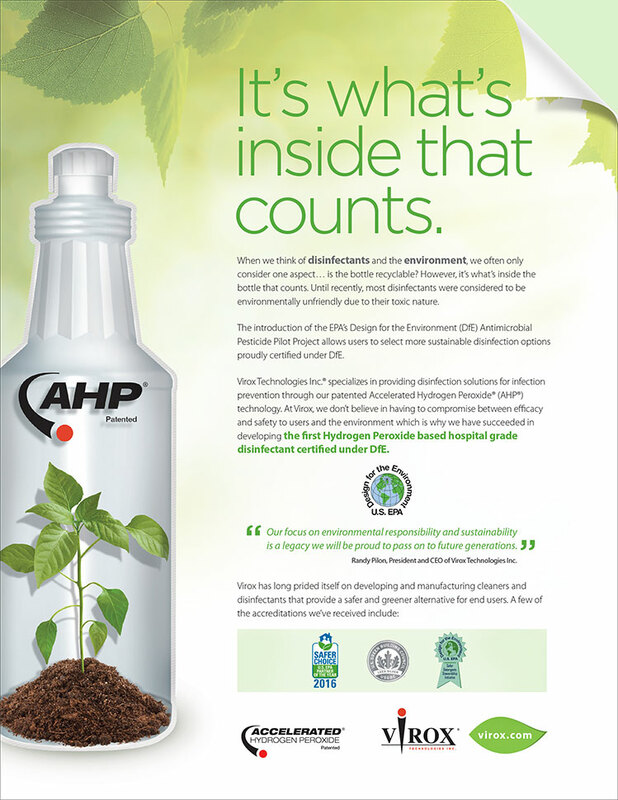 In the US, AHP® has been approved as the FIRST hydrogen peroxide disinfectant to meet DfE (Design for the Environment) certification. We also have a number of AHP® products that are approved as cleaners under GREENGUARD and Green Seal. In April 2013 Virox Technologies Inc. achieved LEED® Silver certification from the U.S. Green Building Council (USGBC) for our 60,000 square foot headquarters which includes the company's corporate offices, research & development laboratory, manufacturing and warehousing facility. 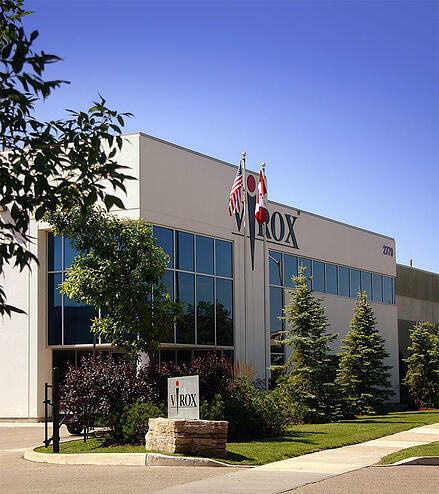 Virox is the first chemical manufacturer in Canada capable of not only developing EcoLogo and Green Seal Certified products, but manufacturing them in a LEED-certified facility. Always Striving to Make a Cleaner and Safer World! Accelerated Hydrogen Peroxide (AHP®) was the first EcoLogo® registered Disinfectant Cleaner indicating rigorous scientific testing, exhaustive auditing, to prove compliance with stringent, third-party, environmental performance standards. Accelerated Hydrogen Peroxide (AHP®) has been certified by Green Seal – provider of science-based environmental certification standards that are fair, unbiased, and credible. Accelerated Hydrogen Peroxide (AHP®) has been validated by GREENGUARD an industry-independent, third-party testing program for low-emitting products and materials.